Japan Golf Promotion Co.Ltd. 1958 18 72 7393 30 minutes from downtown. 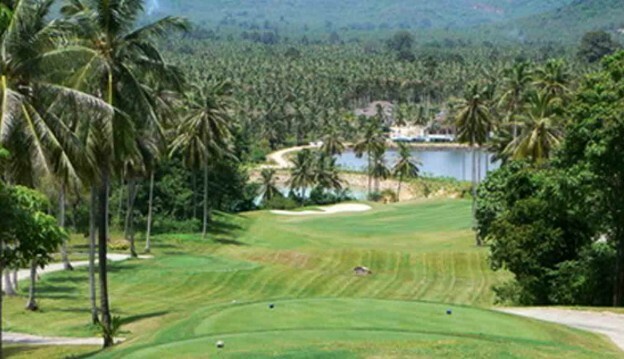 Set amongst the hills and jungle near Sriracha’, the Bangpra International Golf Club is only located approx. 30 minutes from Pattaya and about 90 minutes from Bangkok on the new freeway. This course was amongst the first of the golf courses in Thailand and as such hosted many national events. The course had its first nine completely redesigned in 1987 to incorporate more water hazards, and brought it into line with the other modern courses in the area. The back nine holes have plenty of natural hazards such as trees, ponds and lakes flanking many of the small, fast greens. The course offers some spectacular holes, the 5th Holes was rated in the top 500 golf holes in the world. Spectacular, yet often difficult, holes in a truly environmentally friendly setting and don’t be surprised if you catch sight of monkeys at holes 6 and 7.